Stillen front fascia, side skirts and rear valence. Wings West carbon fibre rear spoiler - single centre pedastel type. Now Stillen Stage 4 polished supercharger, intercooled with chargecooler system. Samco hoses and Python-Loc clamps. Stillen engine damper. Stillen strut brace. Stillen Hi-Flow air intake system. Brake Pro drilled and grooved rotors front and rear with Hawk pads. Eibach lowering springs. Tokico D-Spec adjustable shocks. Evo-R blue LED markers and wing emblem enhancers. Carbon fibre scuff plates. Carbon fibre mirror covers. Carbon fibre radiator closure plate. Short throw shifter with Nismo titanium knob. Aasco lightweight aluminium flywheel with ACT Street Organic clutch. Autometer boost and A/F gauges in cubby. Blitz R-VIT and R-FIT. Origin b2 camera detection system. +44 (0)1277 3742019-00am 'til 6-00pm most days. Web site at www.mjpauto.com and On-Line Shop www.mjpshop.co.uk. 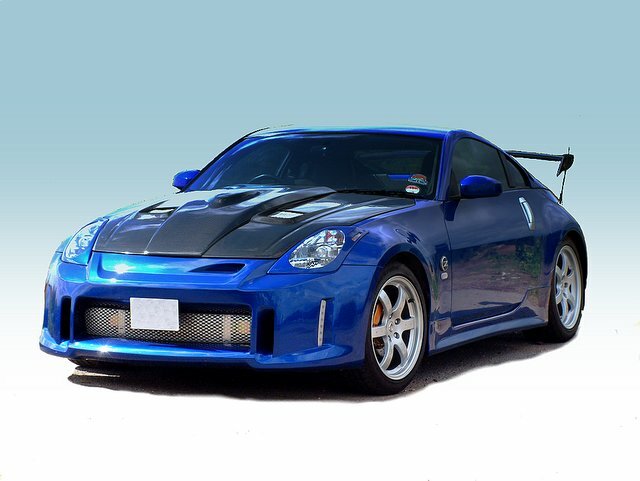 See more about 350Zs and all the other Z and ZX family at www.zclub.net.